Your favorite movement is upon us again. 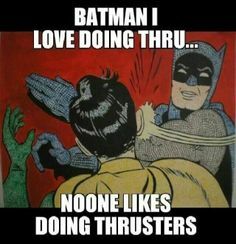 The thruster! This time they are a little lighter but your reps are a lot higher mixed with the added bonus of burpees. *Every minute on the minute complete 5 Burpees, including at the start of the workout. *Every minute on the minute complete 3 Burpees, including at the start of the workout.